Next week's Patch Tuesday will feature a fix for a vulnerability in Internet Explorer that came to light at the celebrated Pwn2Own hacking competition held earlier this year at CanSecWest. It's one of the most important of the seven patches Microsoft will issue--two others are also labeled critical--and it is probably the best known, given that it was publicly demonstrated at the contest in March. QUIZ: Can you navigate Windows 8? A team of researchers from Vupen Security discovered the IE exploit, and HP/Tipping Point, which ran Pwn2Own on behalf with the Zero Day initiative, turned it over to Microsoft. That was toward the end of March and Microsoft has been preparing and testing the patch in the meantime, says Wolfgang Kandek, the CTO of Qualys, who is familiar with the process. Specifics about the upcoming patches are sparse, which has become the norm since earlier this year when one of the vulnerabilities to be patched was leaked before Patch Tuesday, exposing machines to attack, says Marcus Carey, security researcher at vulnerability-management firm Rapid7. But Kandek describes the critical patches as one to repair a Windows flaw and therefore a broadly distributed weakness, and one to fix the .NET framework which also applies to all versions of Windows. The third is the IE vulnerability. Vulnerabilities in .NET are usually linked to malware on websites, says Marcus Carey, security researcher at Rapid7. "In the past, these types of vulnerabilities exploit systems if a user views a specially crafted web page using a web browser," Carey says. All three rank as critical because they enable remote-code execution. All three patches require a restart, which indicates they are bugs at the kernel level, says Carey. A fourth Microsoft security bulletin addresses a problem with Microsoft Office that is rated important, but Kandek says that in the context of Office, it should be considered critical by customers. It may be ranked as less than critical because users may need to open a file in order to trigger an attack, making it less likely. But in the context of day-to-day use of Office, users open files all the time without thinking twice. "Opening a file is an action completely natural to users of Office, so it does not really present a safeguard against this attack," Kandek says in his blog. He says Office 2010 is immune to the opening trigger, so it's not as urgent for users of that version to patch, but Office 2003 and Office 2007 should be patched as soon as possible, he says. The final two patches involve a vulnerability in Dynamics AX -- Microsoft's ERP portal -- and two elevation-of-privilege problems in Windows. "Halfway through 2012 we now have 35 patches, which puts us slightly ahead of last year which saw a total of 99 patches," says Paul Henry, security and forensic analyst at Lumension. 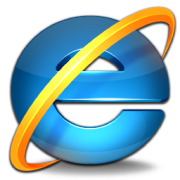 This story, "Microsoft Vows to Plug IE Hole Found in Hacking Contest" was originally published by Network World.